A new report on the future of “Global Britain” proposes several radical reforms of the UK’s spending on international development. Apart from suggesting major cuts in the aid budget, the report calls for broadening the definition of aid, diverting funds to peacekeeping and integrating the Department for International Development (DfID) into the Foreign Office. The report, “Global Britain: A Twenty-First Century Vision”, was written by Bob Seely, a Tory MP and James Rogers, a member of the Henry Jackson Society think tank. It informs a Foreign Office review headed by Foreign Secretary Jeremy Hunt on the UK’s geopolitical role after leaving the European Union. In a foreword, Boris Johnson states that it is time to “turbo charge” Britain’s global reach and influence. Both Johnson’s foreword and the report advances the false claim that the UK’s national sovereignty and influence may be strengthened by means of self-isolation and withdrawal from international institutions. They ignore that national sovereignty is advanced as well as guaranteed through international cooperation. The UK has had a leading role in giving shape to the international system, which has served and continues to serve its national interest. It was not an act of altruism that former Prime Minister Cameron chaired the UN Secretary-General high-level panel on post-2015 development agenda, or agreed to enshrine the UK’s aid target into law. As the UK government rightly saw, these were key actions to enhance UK soft power. 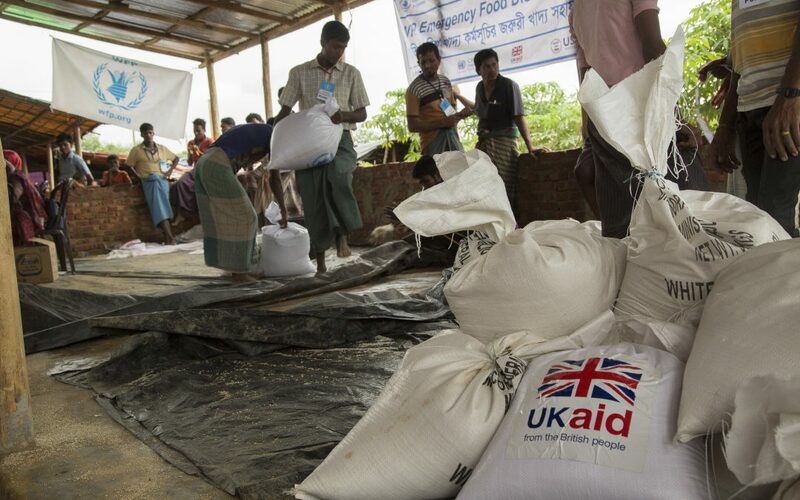 As European observers, we are particularly puzzled by the reports overall criticism of UK aid, in particular DfID. DfID is ranked the most transparent bilateral development cooperation actor worldwide and UK aid quality outranks the United States or Germany. Most importantly, DfID is largely viewed as a thought leader and major source of innovation in the global aid community. Three arguments in the report are particularly flawed. Each of these arguments misreads the status quo on global aid discussions and would lead to strategies that diminish Britain’s global influence. First, the report suggests that the UK reconsiders how it defines “international development” and what is accounted for within the remit of Official Development Assistance (ODA). The ODA definition was determined by the OECD Development Assistance Committee (DAC), which sets guidelines for what can be reported as ODA by its 30 members. The ODA reporting system and the relative targets the DAC members committed to, expressed as a percentage of their gross national income, have been key to advance “burden sharing” in their contributions to global development and poverty reduction. One recommendation suggests that the UK should only retain its 0.7% target “(…) provided the UK gains the freedom to define aid as it sees fit.” If the UK started reporting ODA according to its own definitions, this would only erode global trust in the UK and isolate the UK among other donor countries. Instead, the UK should work within the OECD DAC towards shared agreements on contentious issues, such as measuring aid to the private sector, as it has done in the past. The UK has previously chaired the DAC, while DFID played a key role in mediating key changes to its ODA reporting system in 2014. This commitment is in fact continued under the current UK government and a British diplomat has recently been appointed as the new head of this committee. Second, the report suggests that peacekeeping should be funded through ODA. The premise behind this argument – fragile states need greater support – is correct. Yet, the way to address this challenge is not through unilateral changes in aid reporting. Key contributions to advancing global peace and security by the UK have not been constrained by reporting standards set by an OECD committee. There has been considerable debate on how to properly account global peacekeeping expenditures within the current ODA definition and its reporting system. There are also ongoing discussions as to how to report peacekeeping costs outside of the current ODA definition. One proposal in this context has been the introduction of a new measure called total official support for sustainable development (TOSSD). Third, the report argues for various forms of ‘integration’, including merging DfID with the Foreign Office. Again, this debate has been ongoing. The claim that greater integration would lead to efficiency gains is not backed by evidence. In contrast, countries that have merged their aid and foreign affairs departments recently, such as Canada, have subsequently fared worse in terms of development performance as well as policy influence. Furthermore, countries whose international relevance is rising seem to establish aid departments rather than abolish them. For instance, China created a new development agency in 2018 and India established an aid agency in 2012. Overall, deviating from global standards, which the UK has actively contributed to and advanced, would violate existing global norms und undermine international cooperation. Following such an approach would not only isolate Britain globally and undermine its soft power, it would also hurt the world’s poor who depend on the excellent work that UK aid continues to do. Indeed, as the second foreword to the report by MP Iain Austin argues, “it is particularly important to have a debate about how Britain might engage in developing a comprehensive national strategy to engage successfully in a more volatile and competitive international environment”. In our view, the UK may best serve its sovereign interest and manifest its soft power by defending and constructing a rules-based global order, including through foreign aid as a key component of its integrated foreign policy.